The Entronix platform offers a Chief Financial Officer (CFO) Module to help CFO’s better understand how their facilities are performing financially and highlight savings from ESCO projects and energy savings investments. CFO SAVINGS: This can be used to quickly see the most common key performance indices (KPI) in an investment such as return on investment, payback, and savings per year. 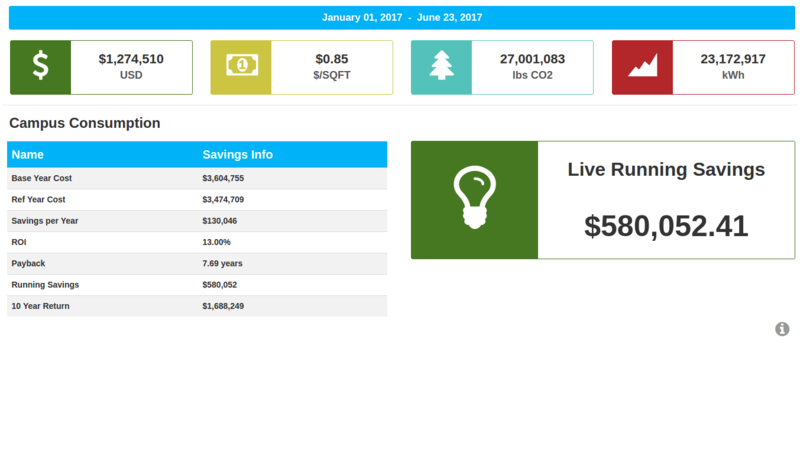 A live savings ticker shows total savings as they accrue every second. 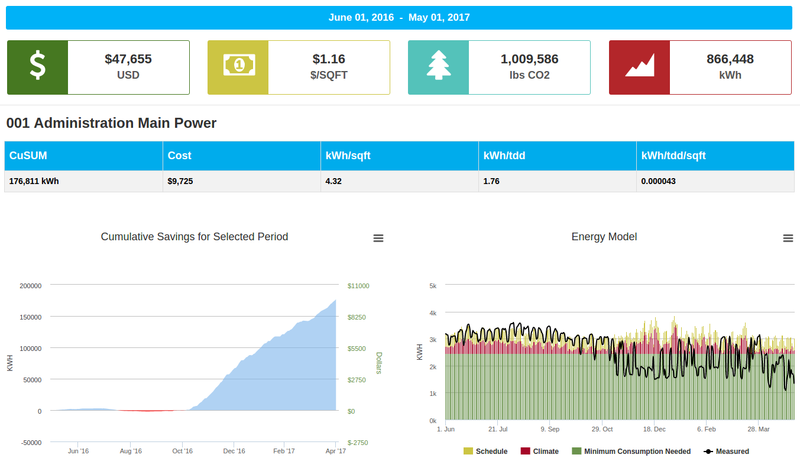 CFO PERFORMANCE: This view shows the total accrued savings based on an energy baseline model which takes into consideration the effect of climate and schedule changes to consumption. Cost per sqft of the building and costs per total degree days are also easily viewable. 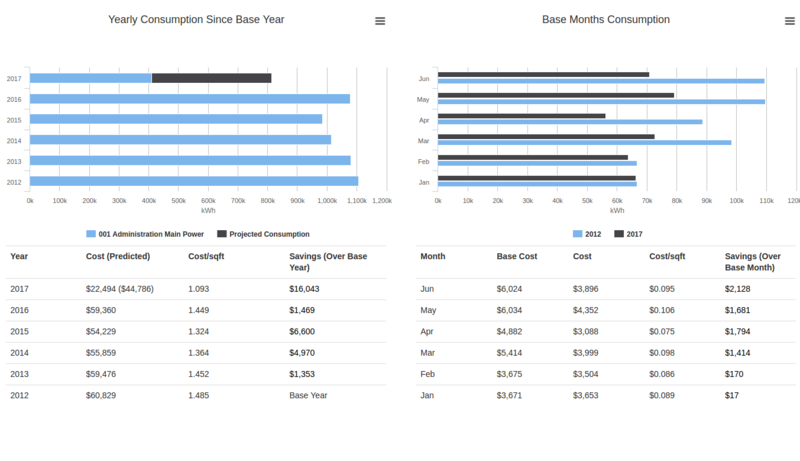 CFO BASE YEAR: This is a quick way to compare savings per year and per month over a base-year of the CFO’s choosing. 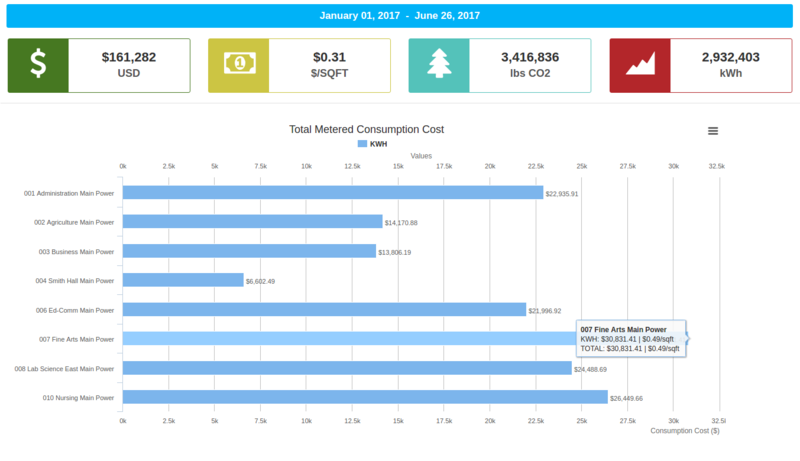 CFO COSTS: This view is a quick way to see the actual dollar cost (net and per sqft) of meters over a selected time span.